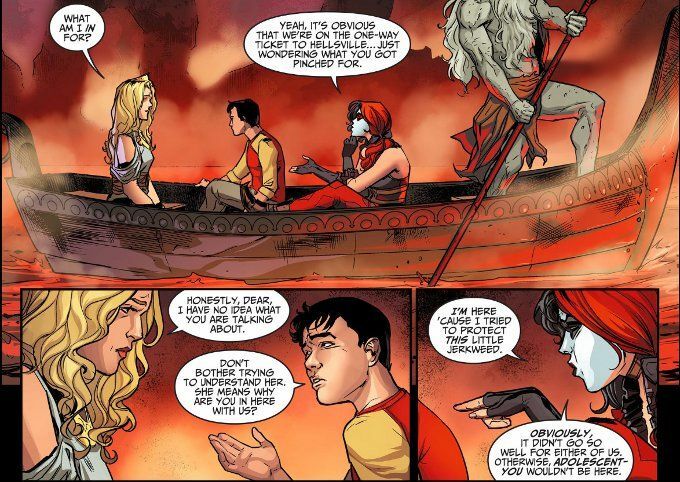 As Harley Quinn, Billy Batson and Hippolyta take a slow boat to Tartarus, things are getting very interesting on Earth. 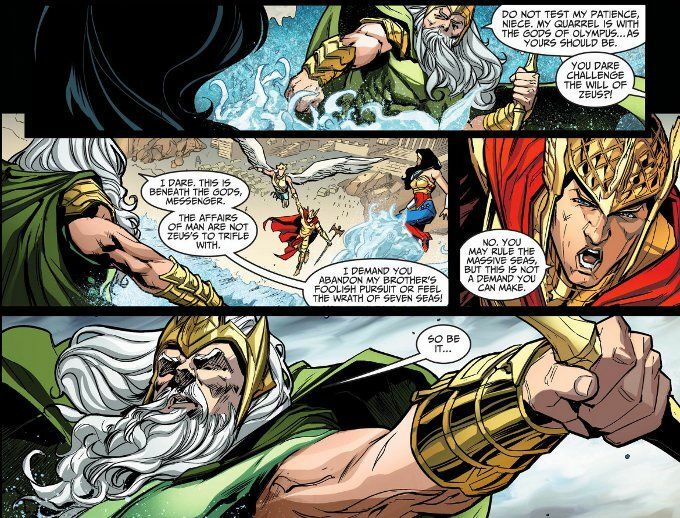 Poseidon, apparently worried about Zeus' increased interest in the affairs of Man, has joined the War of the Gods on Superman's side! Now the oceans themselves stand ready to destroy the Amazon army... but could another sea king somehow turn the tide? Again, Brian Buccellato shows his gifts for grand stakes and high comedy. The opening interlude with Harley being her usual friendly self on what amounts to the ultimate prison bus ride proves a welcome respite from the increasing darkness of this series in recent issues. And the final page is one of the best cliff-hangers ever - not only in this comic but in all comics everywhere! Unfortunately, the artwork doesn't quite live up to the same standard. Xermanico is not a bad artist, yet this issue does suffer somewhat in any scene drawn past the middle distance, with heavy inks obscuring the fine details of the original pencils. The color art and lettering by Rex Lokus and Wes Abbott remain exceptional, however.